Barbara was born in New York City but now lives at Black Cat Farm. Envisioning a career as a globe-hopping photojournalist, after college she determined her hop muscles weren't global strength. After having a stable for several years, Barbara turned to writing. One of her traditionally published books was turned into a television movie (Will the Real Renie Lake Please Stand up, now available as Unheard), and another opened the door to writing for television (In Real Life I'm Just Kate now available as Just Kate). She has written fiction and nonfiction and loves the freedom of ebooks where she has become Queen of All She Surveys, as long as it's on her desktop. 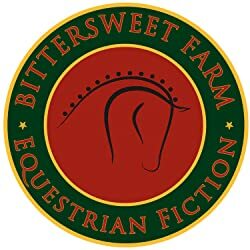 **Follow Barbara on Facebook at https://www.facebook.com/pages/Bittersweet-Farm/500038183393048 or https://www.facebook.com/barbara.morgenroth.5 She loves hearing from readers and sharing photos. You'll hear about the latest releases first! Please enter your email address and click the Follow button to follow Barbara Morgenroth! One year. One bad jump. One life changed. Lockie Malone had a life before he arrived at Bittersweet Farm. This is one year in that life, after the crash. Kitty Powell arrives wanting Lockie's help to transition into eventing. She has a history with Lockie, but she also has a history with Cam. How does Greer react to that news? Andrew makes a decision. Talia makes a decision. And Lockie finally has a candidate he can use for dressage.